International Airlines Group is one of the world's largest airline groups. We have 547 aircraft flying to 268 destinations and carrying more than 105 million passengers each year. We are the third largest group in Europe and the sixth largest in the world, based on revenue. IAG was formed in January 2011 and is the parent company of Aer Lingus, British Airways, Iberia, Level, Vueling, IAG Cargo and Avios. Building on a strong history of innovation, we have launched Hangar 51 to offer start-ups and scale-ups the opportunity to develop their business by accessing our diverse customer base, expertise and venture capital. The Hangar 51 programme is your chance to trial your products and innovations with real customers, work with senior leaders in the travel industry and create a partnership with one of the world’s largest airline groups. Logistics automation – There are many critical functions that are still carried out manually at airports including processes within baggage, aircraft stand and airfield operations. IAG is looking for start-ups that can automate these processes with solutions focused on improving operational performance in the context of aircraft turn around. We are looking for automation technologies related to robotics, driverless vehicles, machine vision, artificial intelligence and more. The benefits of automation can include: improved safety, reduced equipment damage and better punctuality. Identity Management & Biometrics – Hangar 51 is always on the lookout for new technologies to automate operations and provide customers with a seamless, smooth but secure travel experience. As the main operator at London Heathrow, IAG is looking to explore early stage companies and technologies alongside established solutions that can be adapted to the airport environment. Selected start-ups will have the opportunity to present their products and ideas to an IAG panel in Israel on Monday 18th March 2019. Each start-up will have a 30-minute slot: 15 minutes to present their idea and 15 minutes to explore how it may be designed, developed, trialled or implemented within our company. IAG may decide to take your ideas further by organising a trial of the technology to understand potential and if appropriate develop a business case and roll it out. Start-ups may also be considered for Investment through IAG’s multi-million pound investment fund or the Hangar 51 Accelerator programme. ● How can this idea/technology be implemented in an airport/airline environment? ● What would be the benefit areas/added value? ➢ Applications will be open until March 5th at 23:59. ➢ Successful applicants will be invited for a dedicated 30 min slot on Monday 18th March 2019, scheduled to take place in central Tel Aviv. * Please note that the event presented above is an external program. Participation does not constitute or require acceptance to the Hangar 51 accelerator programme. Believe you have what we're looking for? Click Apply Here at the top of this page. International Airlines Group is one of the world's largest airline groups with 547 aircraft flying to 268 destinations and carrying around 105 million passengers each year. It is the third largest group in Europe and the sixth largest in the world, based on revenue. IAG combines leading airlines in Ireland, the UK and Spain, enabling them to enhance their presence in the aviation market while retaining their individual brands and current operations. The airlines' customers benefit from a larger combined network for both passengers and cargo and a greater ability to invest in new products and services through improved financial robustness. 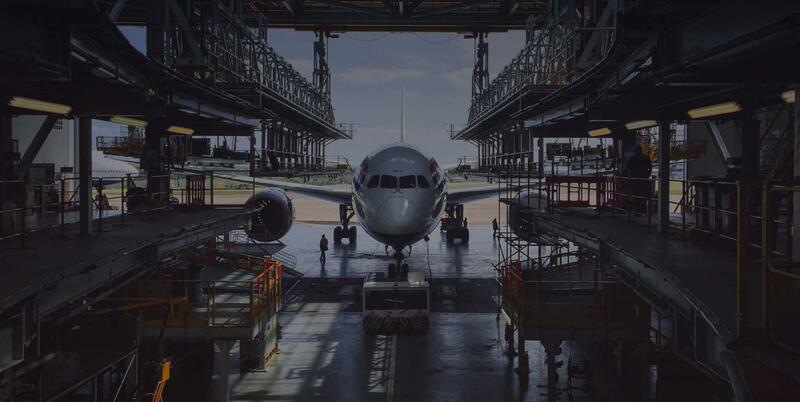 Hangar 51 is IAG’s open innovation platform, which allows start-ups to work alongside IAG and its operating companies with the aim of finding solutions to innovate the aviation industry. A main part of Hangar 51 is the global accelerator programme; In addition to the accelerator programme, Hangar 51 seeks to engage with the world's leading innovation ecosystems, running dedicated pitch days and events. International Airlines Group is one of the world's largest airline groups with 547 aircraft flying to 279 destinations and carrying around 105 million passengers each year. It is the third largest group in Europe and the sixth largest in the world, based on revenue. Hangar 51 is IAG’s ongoing accelerator programme, which allows start-ups to work alongside IAG and its operating companies with the aim of finding solutions to innovate the aviation industry. Aside from the global accelerator, IAG is always seeking to engage with the world's leading innovative start-ups by running dedicated pitch days and events throughout the year. The UK Israel Tech Hub is a not-for-profit venture operating out of the British Embassy Israel since 2011. The Hub was founded by the UK Government as a means to drive economic growth by helping British companies partner with cutting-edge technology from Israel. The Hub has earned a strong reputation as the finest 'resident experts' in Israel, one of the world's leading clusters of technology and innovation. Our unique position within the UK Government, based at the British Embassy in Tel Aviv, enables us to open doors in both markets that might otherwise be closed, and we do so quickly and efficiently. We pride ourselves on high quality, well-organized innovation advisory work. As such, the Hub has become an ideal partner for UK corporations in facilitating their innovation/technological needs. We focus on improving our operational performance, especially but not exclusively, in the context of aircraft turn around. There are many critical manual processes within our baggage, aircraft stand and airfield operations. Within IAG Digital we are looking to automate as many of these as possible. The benefits include but are not limited to improved safety security, reduced equipment damage, better punctuality resulting in increased customer satisfaction as well as reduced emissions. To that end we are looking for automation technologies such as robotics, driverless vehicles machine vision and artificial intelligence or any other technologies which may help us achieve these objectives. Our vision is customers walking through the airport without needing the stop and present documents, whilst still being secure and accurate. Whilst there are many suppliers of these technologies, we are searching for ways that can unify the entire customer experience from booking to departure, boarding, transfer, arrival and return journey. The UK Israel Tech Hub is a not-for-profit venture operating out of the British Embassy Israel since 2011. The Hub was founded by the UK Government as a means to drive economic growth by helping British companies partner with cutting-edge technology from Israel. The Hub has earned a strong reputation as the finest 'resident experts' in Israel, one of the world's leading clusters of technology and innovation. Our unique position within the UK Government, and based at the British Embassy enables us to open doors in both markets that might otherwise be closed, and we do so quickly and efficiently. We pride ourselves on high quality, well-organized innovation advisory work. As such, the Hub has become an ideal partner for UK corporations in facilitating their innovation/technological needs. BT is one of the world’s leading communications companies. They keep customers connected with fixed-line, broadband, mobile and TV products and they make networks smarter and safer for businesses in 180 countries. They’ve built a portfolio of 4,900 patents. And, even after a century at the cutting edge, they continue to uncover new ideas. Today, they lead research into optical fibre, 5G, cyber security, Artificial Intelligence and the future of TV. Looking ahead, they believe technology will improve the way we travel, work and live in cities. Bird & Bird is an international law firm focused on helping organisations driving change in technology and the digital world. The challenges and opportunities to design and deliver Smart Cities over the next few years is something that we are taking a lead on in key sectors such as communications, construction, mobility, energy and healthcare. We are founding members of SustainableSmartCities.org: a digital hub to accelerate the market for cleaner, greener cities by connecting decision-makers and the innovative, smart technologies providing the solutions to these challenges. With Israeli companies driving innovations in technology, we are the advisor of choice for many tech-focused organisations working in and from Israel. Underpinned by our deep industry knowledge, we work side-by-side on matters ranging from small innovative projects to the most complex, ground-breaking transactions. With 29 offices across Europe, the Middle East, Asia-Pacific and North America, we help them wherever their businesses take them. FortyTwo is a global cyber security solutions company serving leading enterprises, and governments worldwide. FortyTwo specializes in strategic planning of cyber security and provides CEOs, Directors, CIOs, and CISOs, with the needed tools to measure their cyber security posture and devise their roadmap. FortyTwo has a deep understanding of attackers' point of view and all of its work is focused on tangible improvements. FortyTwo has offices both in Israel and in India (R&D Center). The UK Israel Tech Hub is a not-for-profit venture operating out of the British Embassy Israel since 2011. The Hub was founded by the UK government as a means to drive economic growth by helping British companies partner with cutting-edge technology from Israel. The Hub has earned a strong reputation as the finest “resident experts” in Israel, one of the world's leading clusters of technology and innovation. Our unique position within the UK Government, and based at the British Embassy enables us to open doors in both markets that might otherwise be closed, and we do so quickly and efficiently. We pride ourselves on high quality, well-organized innovation advisory work. As such, the Hub has become an ideal partner for UK corporations in facilitating their innovation/technological needs. Deck should include: 1. Your idea/technology; 2. How can this idea/technology be implemented in an airport/airline environment; 3. The main benefit areas/added value. I consent for my personal data to be processed.